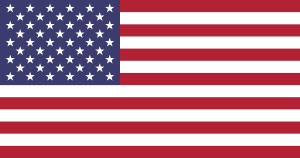 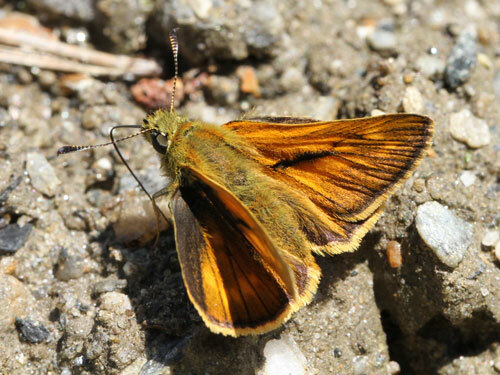 A widespread and common species. 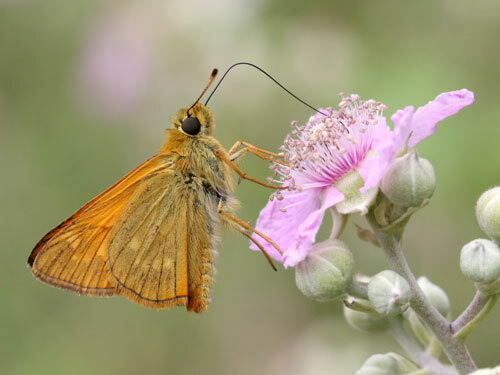 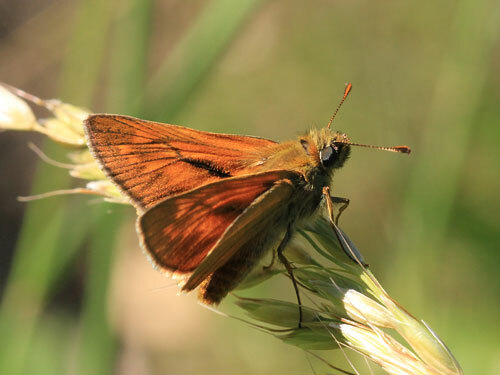 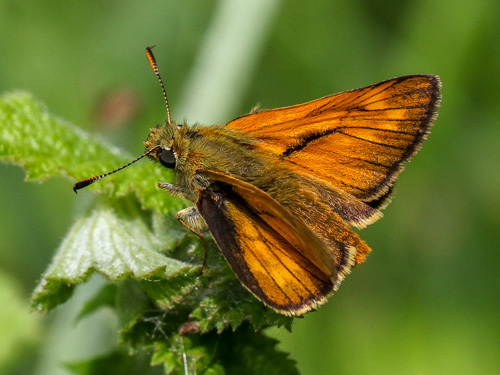 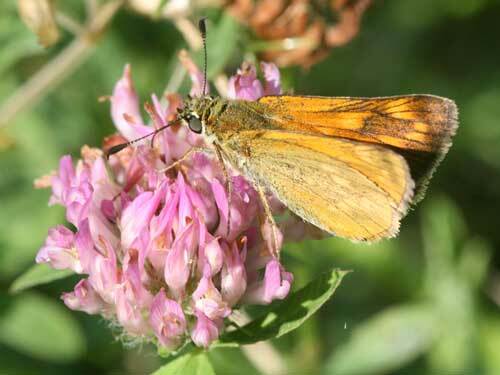 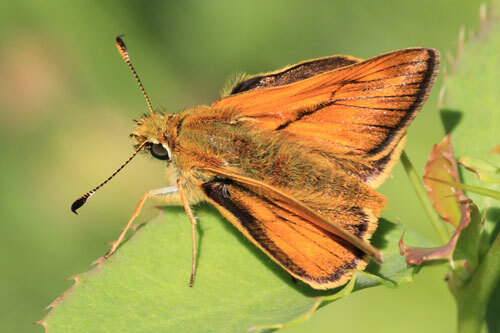 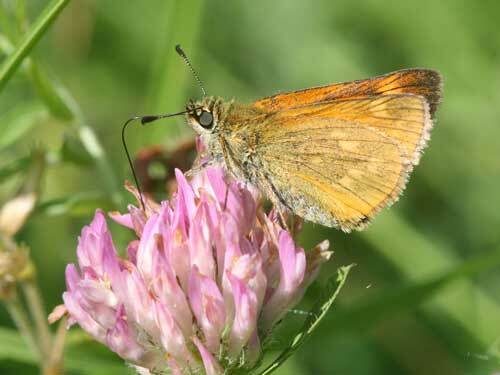 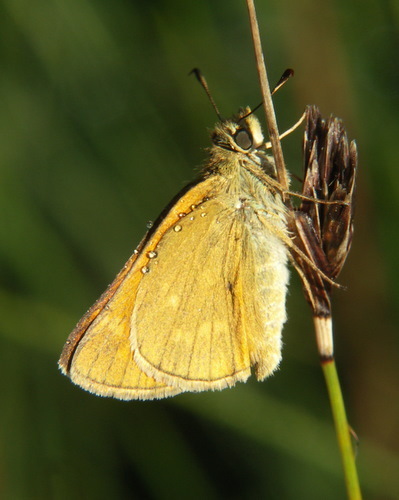 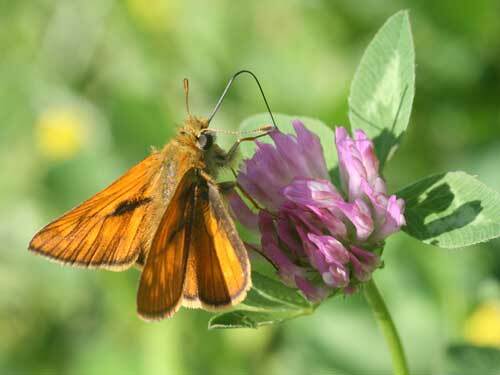 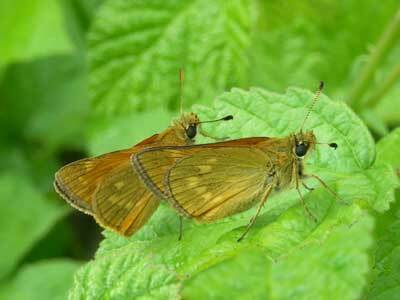 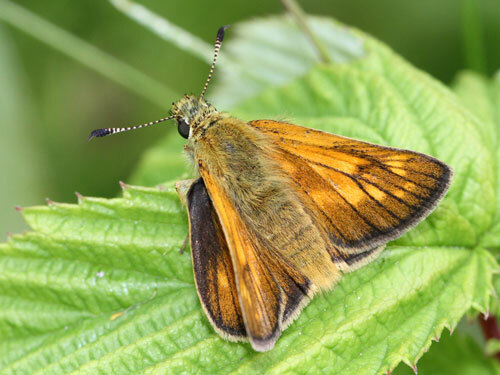 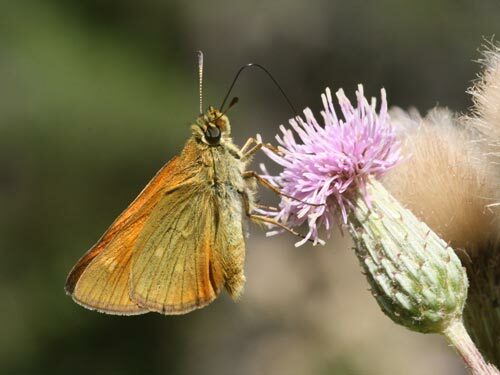 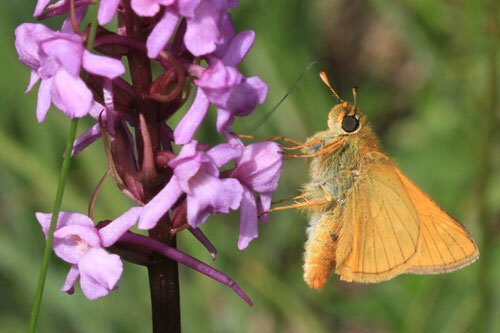 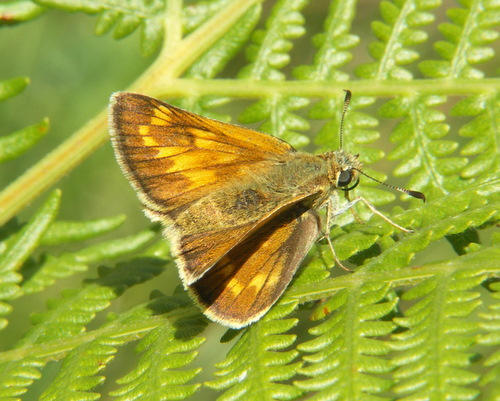 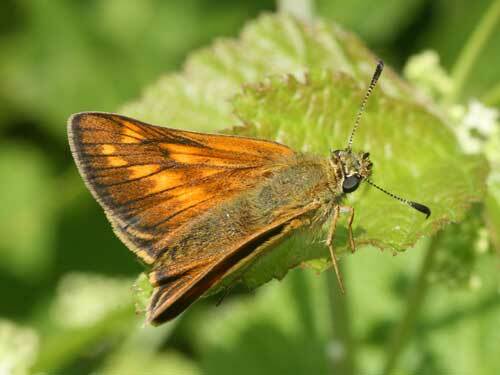 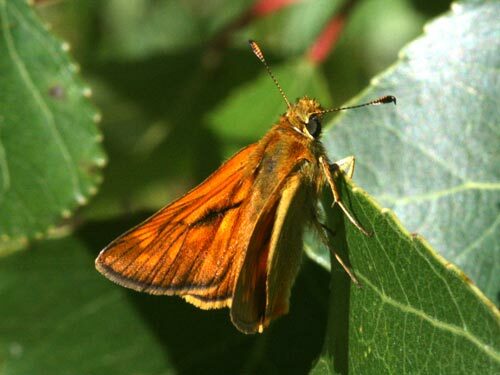 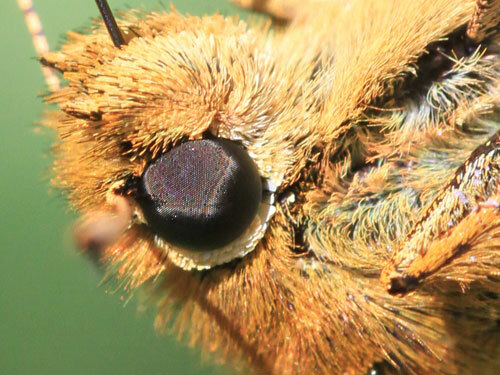 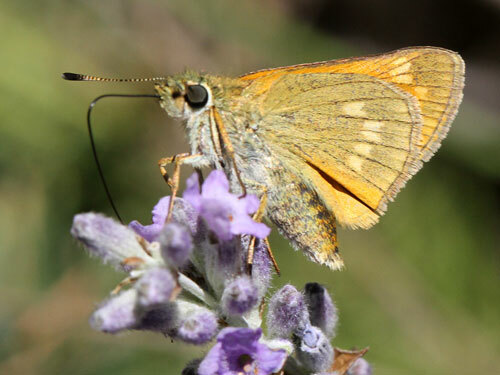 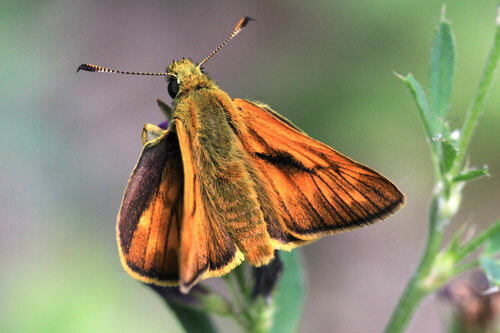 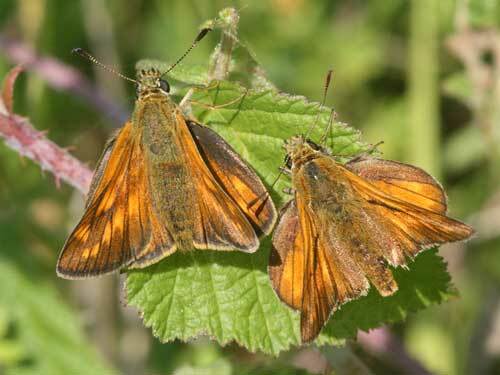 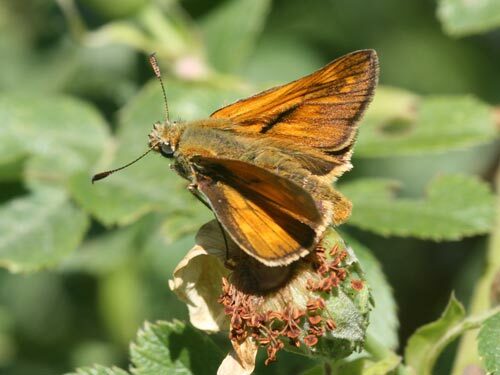 Identification & Similar species: A large "golden skipper" separated from the similar silver spotted skipper H. comma by the lack of silver spots on the underside hindwing found in that species. 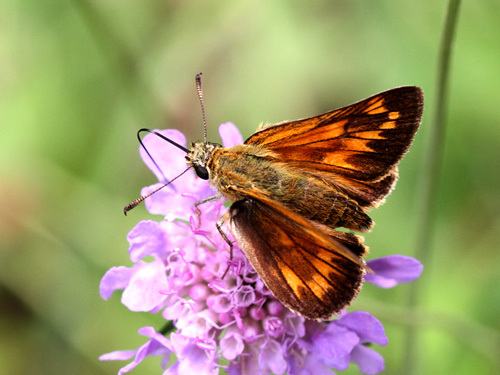 Distribution & Flight: Europe, absent from northern UK and northern Scandinavia and parts of southern Spain. 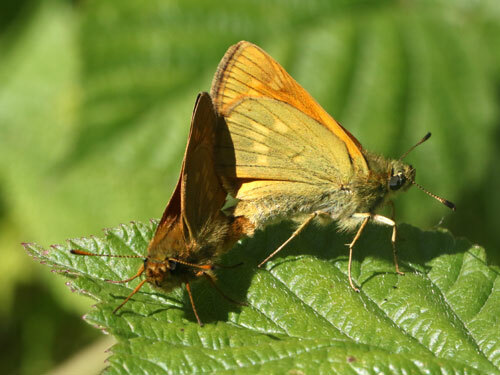 Single, possibly double, brooded found early in the year in May through to August. 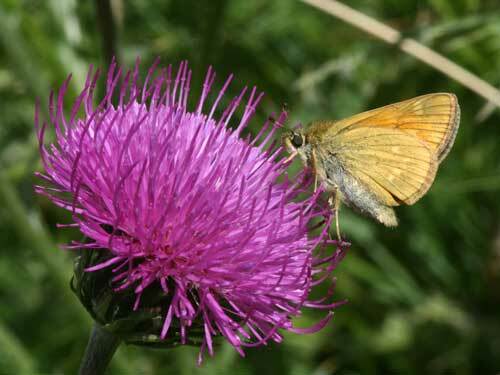 Habitat & Behaviour: Grassy places, usually with bushes or trees and often with damp areas. 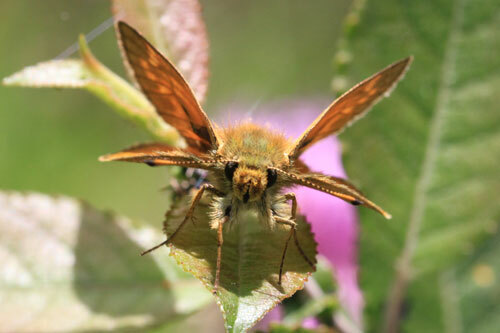 They fly powerfully and are sometimes territorial.